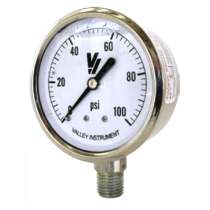 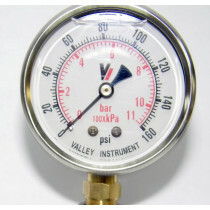 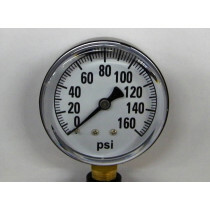 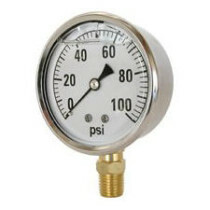 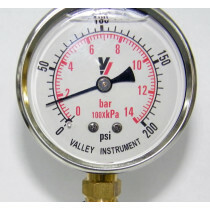 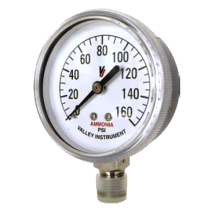 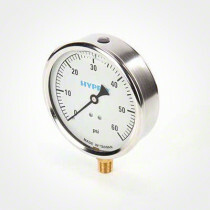 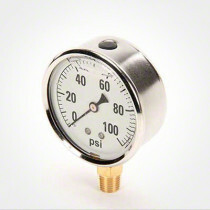 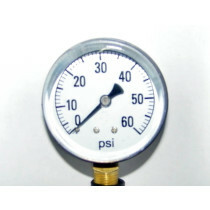 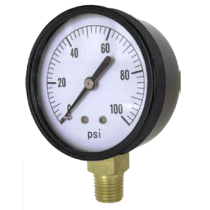 Liquid Filled Gauges are reliable, high quality gauges that indicate pressure levels in a system. 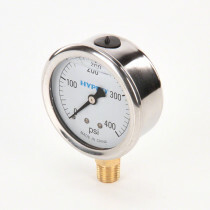 The gauges are primarily produced by Hypro and Valley Industries and are offered in a variety of dial face diameters and maximum pressure levels. 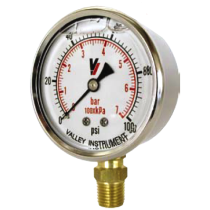 The liquid inside the gauge allows the needle to produce more accurate measurements since the liquid lowers the amount of vibrations that affect the needle.